Our one and only founder and CEO, Shadrack Frimpong, has been named in Forbes’ 30 Under 30 for social entrepreneurship! This award recognizes exceptional emerging leaders that are leveraging business smarts to save the world. He joins a community of leaders and change-makers from Kevin Systrom to LeBron James, Daniel Ek to Kate McKinnon. Read more about this honor on their website. We are proud to announce that our founder, Shadrack Frimpong, has won the Queen’s Young Leaders award for Ghana! The Queen’s Young Leader Award recognizes and celebrates exceptional people aged 18-29 from across the Commonwealth, who are taking the lead in their communities and using their skills to transform lives. Shadrack represented Cocoa360 at the awards ceremony at the Buckingham Palace in London. Here is a short, one minute video capturing the moment.and you can read more about the award at their website. We are proud to announce that Cocoa360 was selected to participate in MassChallenge Boston’s 2017 accelerator program in Boston! We will join 128 of other businesses for four months of programming that includes access to MassChallenge’s global network, world-class mentoring from industry experts, tailored programming, free co-working space, and unrivaled access to corporate partners. Shadrack was recognized in Avance Media Africa’s 50 Most Influential Young Ghanians list! See full list here. The Young African Committed to Excellence Award highlights achievements of those under the age of 30 making tremendous impact in their communities. Shadrack was chosen from over 2000 nominations nation-wide, as one of Ghana’s Top 60 Young Leaders, in commemoration of Ghana@60 celebrations. The Future Awards Africa recognized Shadrack for Cocoa360’s influence in the agriculture sector. He, along with three other Ghanians, were awarded the Future Awards Africa Prize in Agriculture. 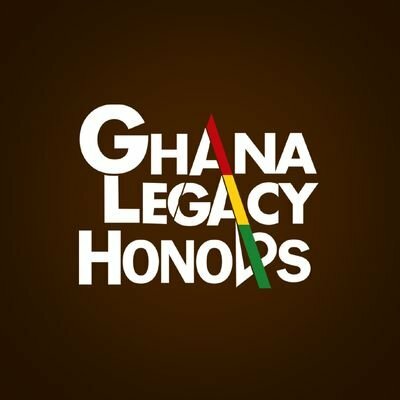 The Ghana Legacy Honors is the celebration of the unique legacy of Ghana, embodied in the extraordinary achievements of people of Ghanaian descent around the globe. Our Founder Shadrack was honored with the Future Award in March 2017. Cocoa360 received the Youth Philanthropical NGO award for its outstanding work in the field. Additionally, Isaac Minta Buabang, our In-Country Development Manager, was recognized as the Young Philanthropy Personality of the year. Shadrack was recognized as a Social Impact Pioneer by The Future of Ghana in its Top 30 Under 30 Publication on outstanding Ghanaian youth from around the world. Shadrack was 1 of 5 students in his graduating class awarded the $150,000 President’s Engagement Prize. The prize was seed funding for the establishment of Tarkwa Breman Community Alliance, now Cocoa360. This generous $15,000 fellowship award helped to solidify the work of Cocoa360 as a public service.